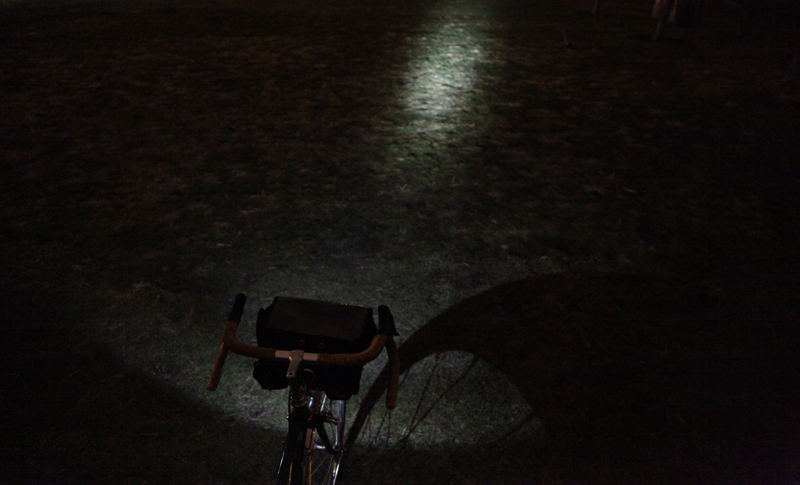 When the lack of winter daylight sets in a set of reliable lights are super important to me- I implore you to not be one of many “bike ninjas” riding city streets without any sort of lighting as it can be dangerous for you and others around you. Dan at Portland Design Works was kind enough to let me try out some of their lights recently which I’ve been using since early December. Up front I have the Cosmic Dreadnought 110 (110 lumens of light output) and in the rear their bolt-on Fenderbot. 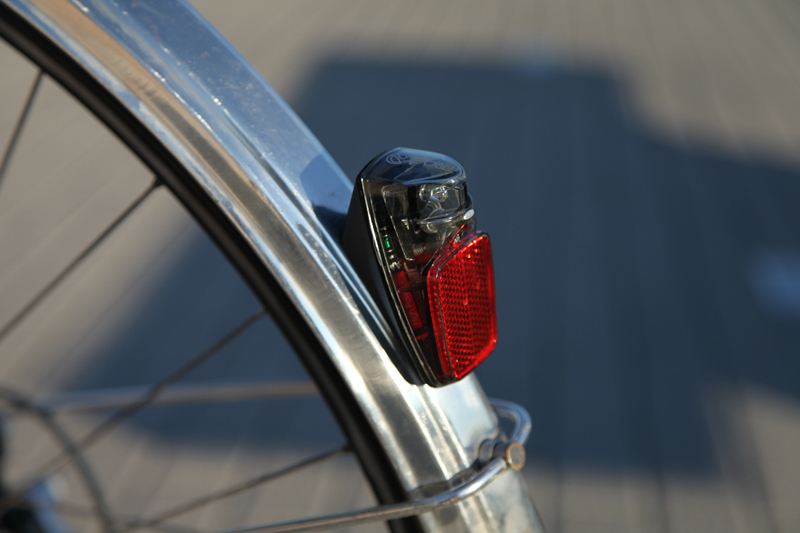 I’ll start first with the Fenderbot: I very much like having a bolt-on rear light that can’t be removed by petty bike accessory thieves if I forget to remove it when parked (RIP all the Knog lights I’ve ever owned). 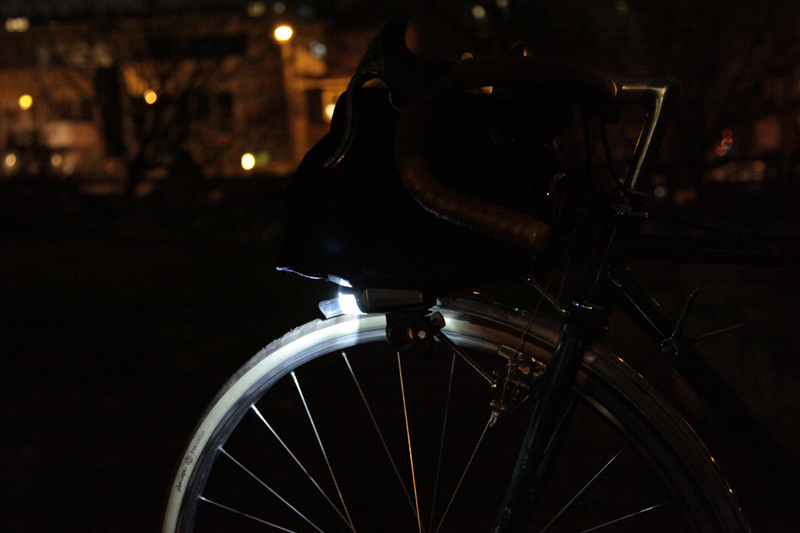 The light has two modes: steady and flashing. Below the bright red LED is a reflector for extra visibility which is also useful should you run out of battery power in the middle of a ride. No pictures of the light in use, there’s not honestly much to photograph but if you lack the imagination please refer to this review. The Dreadnought proved to provide plenty of light and likely more than the average commuter/city cyclist needs but it should be good for riding the unlit packed dirt trails just outside the city that I usually ride on my mountain bike. The headlight has three settings: high, low, and flashing. I generally keep the light on low- high is more than necessary in most scenarios and the flashing mode just gives me a headache. 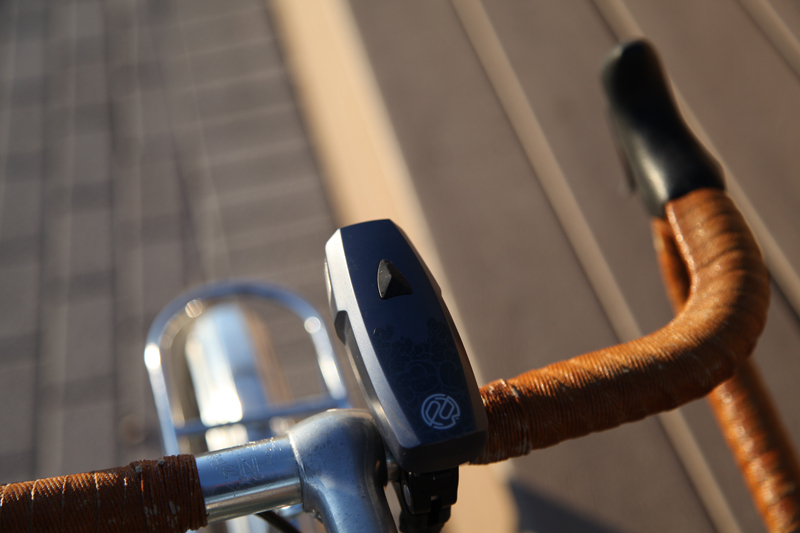 A quick release tab on the mounting backet makes removing the light a breeze- the bracket itself has three sizes of adjustability to fit whatever kind of handlebar you’re running. 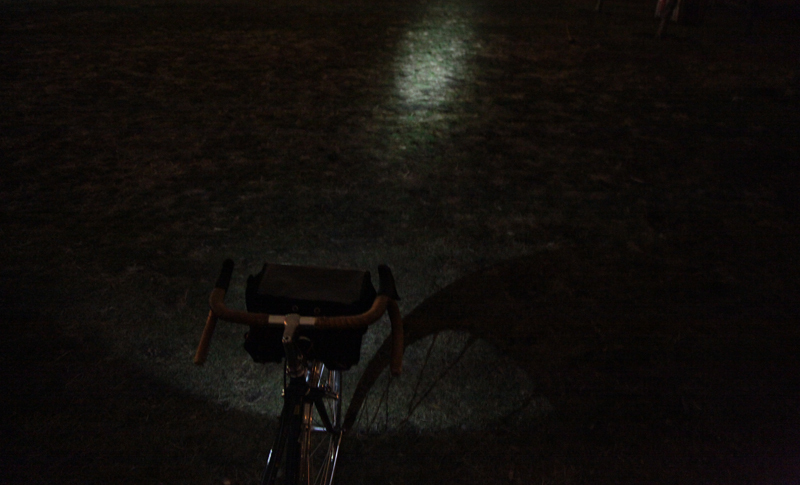 Mounting to the handlebar puts more light ahead of me which is good for urban visibility but when I’m using my front rack bag much of the light is blocked. Thankfully my Nitto M-12 rack has an eyelet to attach the light to with the help of a Paul Gino style mount that my friend Dan over at Rack n Roll whipped up with some scrap tubing. In its current position I get a little “splashing” of light on the wheel and tire but not much ahead of me is really lost, certainly not as much light loss from mounting at the handlebar when the bag is mounted. 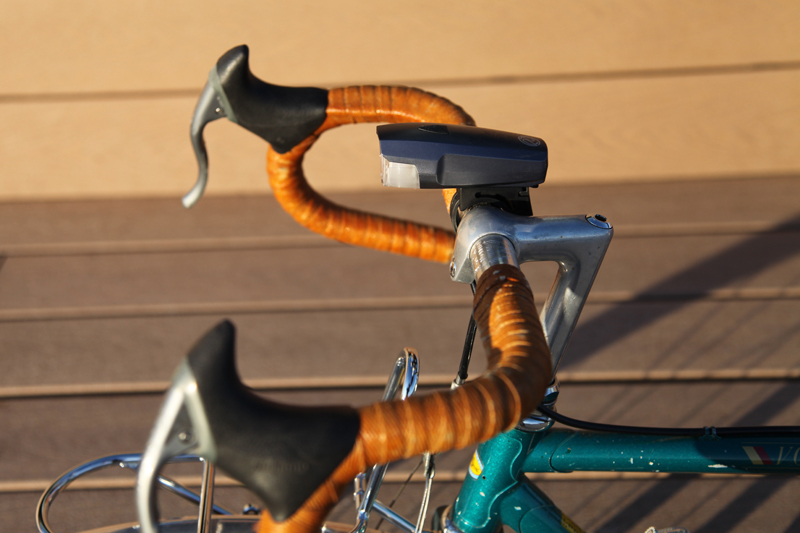 This can/will be avoided by installing an arm that will place the light closer to the front of the bike. The top image is an example of the light on low and the bottom is on high. The exposures are identical and no editing has been done to either image so that an accurate difference in settings could be seen. Plenty bright. Thanks again to Dan at PDW for providing the lights and keeping my paths bright. 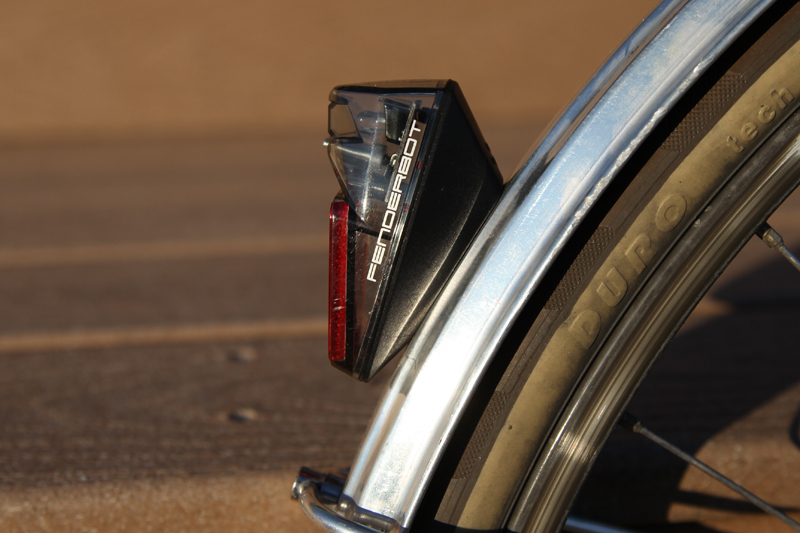 Hows that tail light compared to a PBsuperflash? I wouldnt mind a hard mounted taillight like that on my fender as a backup. I wouldn’t know, but perhaps we should check them out side by side next time we see each other with both our lights?